Gold and jewellery making played an important part in Egyptian culture, with the Egyptian era essentially dominated by gold. 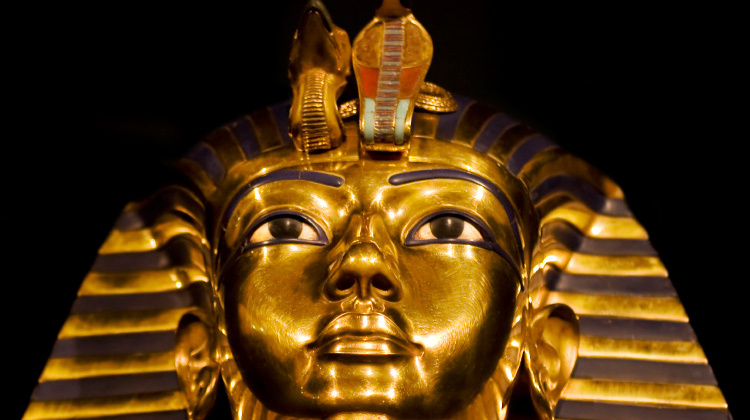 The enduring image of the Tutankhamun’s Death mask quantifies that superbly (above). The impact of such a bold use of metal makes the mask memorable, and solidifies the wide association with gold and metals, which is in turn reflected in Egyptian jewellery. As you can see from the metallurgy timeline above, Gold and Copper were the first metals to be discovered and made up two of the Seven Metals of Antiquity (metals on which our civilisation is based). Whilst Gold was valued for its colour and resistance to tarnish, copper became widely used in weapon making due to its strength. Early gold deposits were simply hammered together to form larger pieces of Ancient Egyptian jewellery, but copper was a little more troublesome and used to shatter when dropped. This problem led to the process of annealing being discovered which loosened up the cell structure of the metal making it more workable. Jewellery styles of the Egyptian Period were often based upon the widespread belief in a series of gods who ‘governed’ the kingdom. There were hundreds of different gods worshipped by the people, and these often changed and developed as times moved on and the Dynasties changed. But there are certain key figures which are essentially unchanging, most notably Atum-Ra, who was the sun god and creator of all other gods. Other gods remaining prominent in the history of Egyptian jewellery were Shu, (god of air) and Tefnut (god of moisture) and many more. These gods represented the fundamental elements on which Egyptian life was based and were the perfect subjects for amulets (which protected the wearer) and talismans (to bring the wearer good luck), much like we wear today. What did Egyptian jewellery look like? 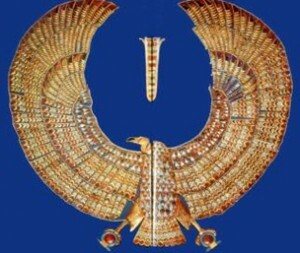 The answer is strikingly similar to the designs of modern Egyptian jewellery, which is astounding considering the Egyptian jewellery working techniques available at the time. The ring on the left is a stirrup shape signet ring which has been cast using the lost wax process. The hieroglyphics would have been used with hot wax, as a seal to stamp official documents and letters but also to adorn the finger of an important figure (priestly official). Signet rings were often designed with a swivelling bezel and regularly incorporated a scarab beetle as the central Egyptian motif. (In a nutshell, Scarabs represented the cycle of life). The ring on the right is made of faience which is powdered quartz with a vitreous coating, usually blue-green in colour. Ancient Egyptian faience beads have the characteristics of clay and can be moulded, but they’re actually more like glass. The coloured faience in the centre of the ring was used to imitate Lapis and Carnelian in this example. 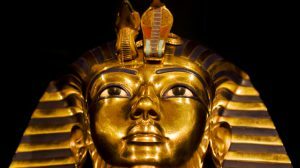 What Materials Was Ancient Egyptian Jewellery Made From? The Egyptians used glass extensively in their jewellery. It was used to create a plethora of different coloured beads which were then strung together, sometimes with gold, to make fabulous collars, necklaces, rings and earrings. Glass was also used in intricate cloisonné work which is evident in many of the more important pieces of Egyptian jewellery of the time. The introducing of Egyptian glass jewellery meant jewellery craftsmen could imitate real stones, making it arguably the first costume jewellery! Beads were perhaps one of the most popular and versatile components of Egyptian jewellery. They were made in every material and instead of using expensive sheet. These Egyptian beads could be built up in considerable numbers to create large areas of decoration which are so synonymous with Egyptian jewellery design. What did the Egyptian colour scheme mean In Egyptian Jewellery? 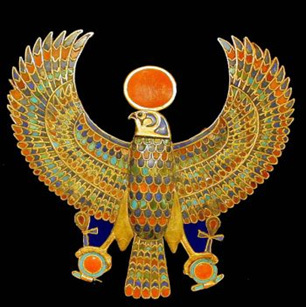 It’s worth noting the importance of the Egyptian colour scheme, especially in Egyptian jewellery. They may not have had the range and options that we have today, but each colour used held great symbolic significance much like the jewellery that contained it. 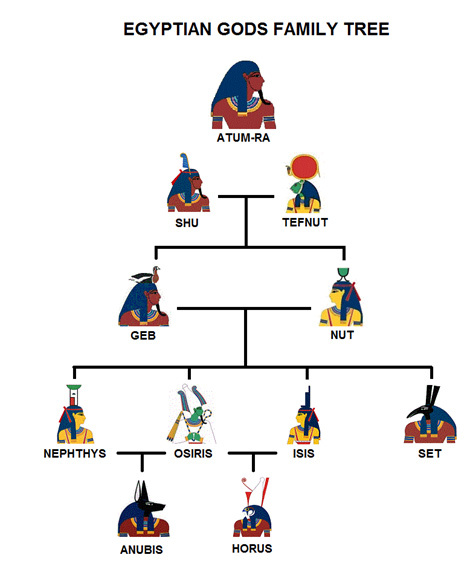 Blue was said to symbolize ‘rebirth and the shimmering sun’, and red with ‘birth and destruction”, associated with Osiris, the God of the Dead. However, it was gold/yellow which was revered above all others due to its association with the sun and ‘the flesh of the Gods’. It was the colour of the gods and royalty, and was the object of desire for most people, which is not so dissimilar to the way our jewellery culture is known today. Gold, Electrum, Coloured Glass, Semi-Precious stones (Lapis Lazuli, Carnelian, Jasper, Stone, Turquoise, feldspar, steatite). Collars, Bangles, Bracelets, Earrings, Beads, rings with swivelling bezels, amulets. Scarabs, palm leaves, poppy petals, bunches of grapes, lotus flowers, daisies, jasmine blossom, gods and goddesses. Upper and lower Egypt were united to form the first dynasty. Egypt saw great advances in agriculture, metalwork, communication and transportation. Ra is the chief god. Pharaohs were all powerful rulers. The age of the pyramids began. Thebes was established as the capital by Mentuhotep of the Eleventh Dynasty. The powers of the Pharaohs somewhat diminished. Trade with other lands increased. Copper and Turquoise were mined. 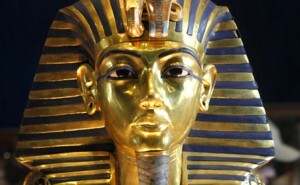 Later, his son-in-law Tutankhamun returns the capital to Thebes. Perhaps learning about ancient Egyptian jewellery has you curious about other jewellery histories? Learn more about the history of jewellery making today.